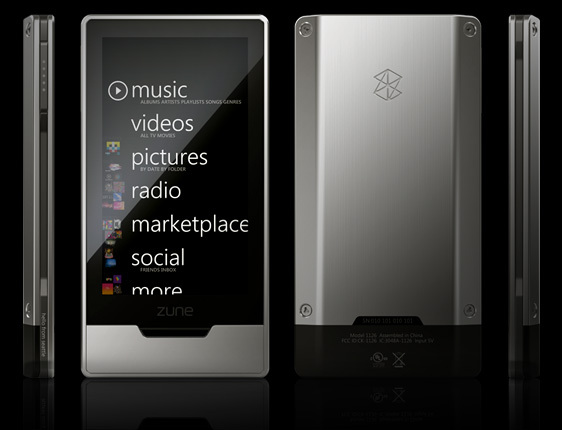 Microsoft will soon launch the Zune HD which features a touch screen as well as a HD radio tuner. It will use flash memory and a version of Microsoft’s Internet Explorer browser. The device also features a HDMI connection for streaming video to HDTV’s, Wi-Fi connectivity, HD video support and a built in accelerometer. The Zune HD definately poses a threat to the iPod touch. Though there are questions left unanswered such as the storage size of the hard drive and pricing, Microsoft continously takes on the challenge to steal marketshare from Apple.